REGISTER NOW THROUGH SUNDAY, MARCH 24 AT 11:59 PM AT PHILCOLLINS.ONTOURACCESS.COM TO UNLOCK TICKETS FOR THE VERIFIED FAN SALE ON FRIDAY, MARCH 29 AT 10 AM. IF TICKETS REMAIN, THEY WILL GO ON SALE SATURDAY, MARCH 30 AT 10 AM AT TICKETS.COM. Listen weekdays from March 22 to March 29 for the Phil Collins Free Tickets Song. 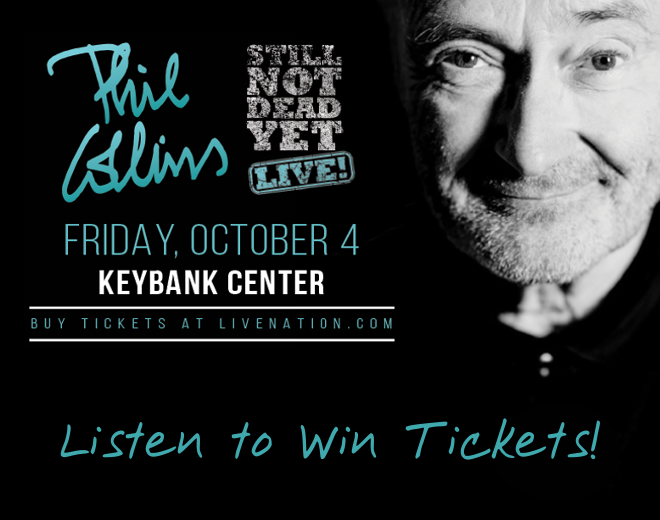 When you hear it play at the approximate time listed below, be the 15th caller at 644-1041 to win a pair of tickets!